This is a repost that originally appeared on the Couchbase Blog: Authorization and Authentication with RBAC (Part 2). Authorization and authentication are important to Couchbase. In March, I blogged about some of the new Role Based Access Control (RBAC) that we are showing in the Couchbase Server 5.0 Developer Builds. 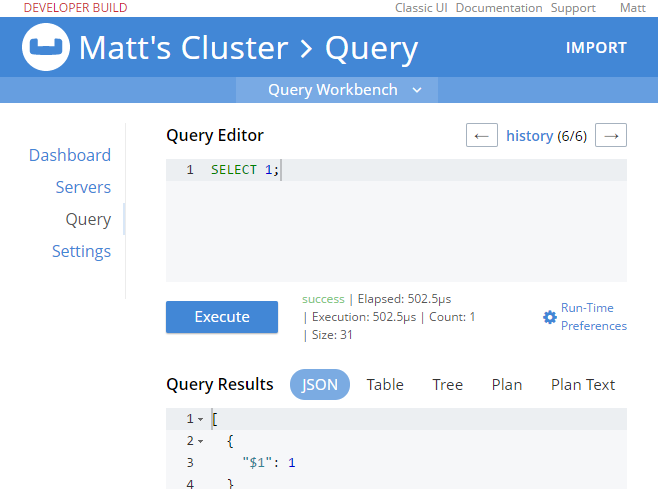 This month, I’d like to go into a little more detail now that the April Couchbase Server 5.0 Developer Build is available (make sure to click the "Developer" tab). So now, you no longer have to hand out a password that gives complete access to a bucket. You can fine-tune bucket authorization, and give out multiple sets of credentials with varying levels of access. This will help you tighten up security, and reduce your exposure. Note: The administrator user still exists, and has permission to do everything. So I can still run N1QL queries (for instance) on that bucket while logged in as an administrator account. However, this is not the account you should be using from your clients. To create a new user, you must be logged in as an administrator (or as a user that has an Admin role). Go to the "Security" tab, and you’ll be able to see a list of users, and be able to add new ones. Create a new user by clicking "ADD USER". Enter the information for the user. You may want to create a user for a person (e.g. "Matt"), or you may want to create a user for a service (e.g. "MyAspNetApplication"). Make sure to enter a strong password, and then select the appropriate roles for the user you want to create. For example, let’s create a user "Matt" that only has access to run SELECT queries on the bucket I just created. In "Roles", I expand "Query Roles", then "Query Select", and check the box for "mynewbucket", and then "Save" to finalize the user. "msg": "User does not have credentials to access privilege cluster.bucket[mynewbucket].data.docs!read. 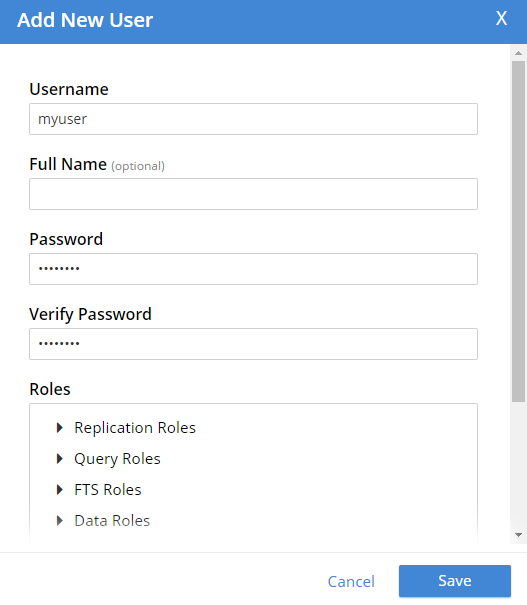 Add role Data Reader[mynewbucket] to allow the query to run." So, it looks like I have the correct authentication to log in, and I have the correct authorization to execute a SELECT, but I don’t have the correct authorization to actually read the data. I’ll go back in as admin, and add Data Reader authorization. At this point, when I login with "Matt", SELECT COUNT(1) FROM mynewbucket; will work. 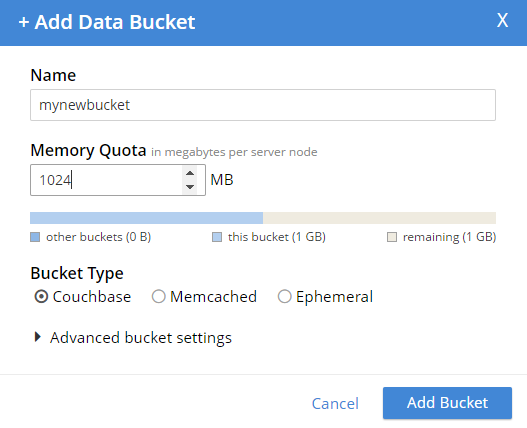 If you are following along, try SELECT * FROM mynewbucket;. You’ll get an error message that no index is available. But, if you try to CREATE INDEX you’ll need another permission to do that. You get the idea. There’s some new N1QL functionality to go along with the new authentication and authorization features. You can grant and revoke roles with N1QL commands. You need Admin access to do this. PUT to the /settings/rbac/users/builtin/<username> endpoint. Below is an example. You can use cURL, Postman, Fiddler, or whatever your favorite tool is to make the request. The above assumes that you have an admin user/password of Administrator/password (hence the basic auth token of QWRtaW5pc3RyYXRvcjpwYXNzd29yZA==). After executing that, you’ll see a new user named "restman" with the two specified permissions. You may have noticed the all option in the screenshots above. You can give a user roles on a bucket-by-bucket basis, or you can give permission to all buckets (even buckets that haven’t been created yet. 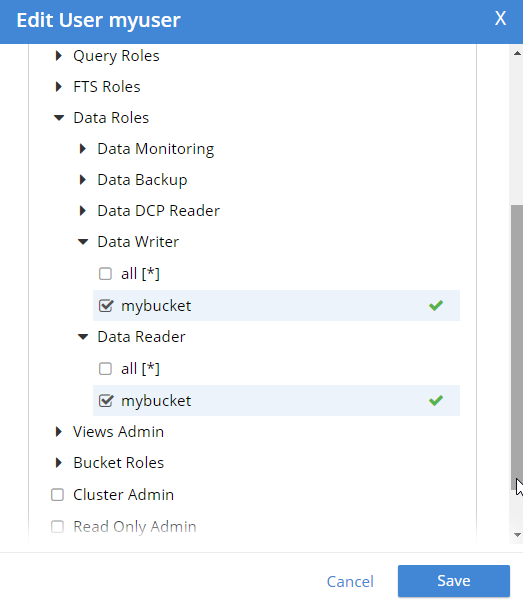 I covered FTS permissions in the previous blog post, but there are permissions that cover just about everything: views, bucket administration, backup, monitoring, DCP, indexes, etc. You can’t create buckets with a password anymore. The equivalent is to instead create a user with the name as the bucket, and give it authorization to a role called "Bucket Full Access". This will be useful for upgrading and transitioning purposes. We still want your feedback! Interested in trying out some of these new features? Download Couchbase Server 5.0 April 2017 Developer Build today! The 5.0 release is fast approaching, but we still want your feedback! Bugs: If you find a bug (something that is broken or doesn’t work how you’d expect), please file an issue in our JIRA system at issues.couchbase.com or submit a question on the Couchbase Forums. Or, contact me with a description of the issue. I would be happy to help you or submit the bug for you (my Couchbase handlers let me take selfies on our cartoonishly big couch when I submit good bugs). This is a repost that originally appeared on the Couchbase Blog: Authentication and Authorization with RBAC. In March’s developer build, you can start to see some major changes to authentication and authorization within Role Based Access Control (RBAC) coming to Couchbase Server. These changes are a work in progress: the developer build is essentially a nightly build that gets released to the public. But there’s some good stuff in RBAC that’s worth getting excited about! Go download the March 5.0.0 developer release of Couchbase Server today. Make sure to click the "Developer" tab to get the developer build (DB), and check it out. You still have time to give us some feedback before the official release. Keep in mind that I’m writing this blog post on early builds, and some things may change in minor ways by the time you get the release, and some things may still be buggy. Authentication is the process of identifying that a user is who they say they are. Authorization is the process of making sure the user has permission to do what they are trying to do. If you’ve used Couchbase before, you’re familiar with the login to what we sometimes call the "Admin Web Console". However, the Web Console is really not just for admins, it’s for developers too. But until now, you didn’t really have a lot of control built-in to Couchbase about who can log in and (more importantly) what they’re allowed to do. So, I’d like to introduce you to Couchbase’s new first-class user feature. There’s still a full administrator user. This is the login that you create when you first install Couchbase. This is the user who is unrestricted, and can do anything, including creating new users. So, for instance, a full administrator can see the "Security" link in the navigation, while other users can’t. Now, once on this security page, you can add, edit, and delete users. A user can identify a person, but it can also identify some service or process. For instance, if you’re writing an ASP.NET application, you may want to create a user with a limited set of permissions called "web-service". Therefore, the credentials for that "user" would not be for a person, but for an ASP.NET application. 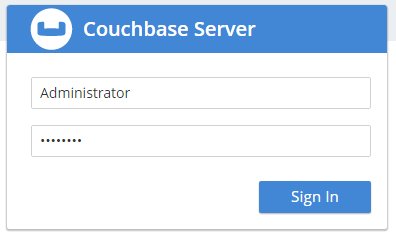 Next, try adding a new Couchbase user by clicking "+ Add User". I’m going to create a user called "fts_admin", with a name of "Full Text Search Admin", a password, and a single role: FTS Admin of the travel-sample bucket (FTS = Full Text Search). I selected "Couchbase" instead of "External". External is meant for LDAP integration. Note that "Couchbase" (internal authentication) will likely become the default in future releases. FTS Admin gives the user permission to do everything with Full Text Searches: create, modify, delete, and execute them. I granted FTS Admin only for the travel-sample bucket. If I selected "all", that would grant permission to all buckets, even ones created in the future. Users with the FTS Searcher role only have access to execute searches, not modify or create them. More on the difference between FTS Admin and FTS Searcher later. Now that this user is created, I can login as fts_admin. This user’s authentication is handled within Couchbase. First, in the above animation, note that the fts_admin user has a much more limited set of options compared to the full admin user. Since I’ve already created an fts_admin user with the FTS Admin role, I’ll create another user called fts_searcher that only has the FTS Searcher role for the travel-sample bucket. I’m going to use the REST API to demonstrate that these users are limited by the roles I’ve given them. If you need a refresher on the REST API, you can refer to the documentation of the Full Text Search API. Also note that I’m using the REST API because there are some bugs in the UI as I’m writing this. Let’s start by creating a new Full Text Search (FTS) index. I’ll do this via Postman, but you can use curl or Fiddler or whatever REST tool you prefer. To create an index with the REST API, I need to make a PUT request to the /api/index/<indexname> endpoint. The body of the PUT is a big JSON object. Below is part of it. You can find the full version on GitHub to try for yourself. Normally, you can create this via the UI instead of having to create JSON by hand. I’m not going to go into FTS in much detail in this post, because my goal is to demonstrate the new authentication and authorization features, not FTS itself. Notice that I’m using fts_searcher as the user. I know that fts_searcher shouldn’t have permission to create indexes, so I would expect a 403. And that’s just what I get. So, while the authentication worked, that user doesn’t have the necessary authorization. Next, let’s use the REST API to search the index for the word 'breakfast'. First, make a POST to the /api/index/hotels/query endpoint, again with the proper credentials and port number. Both users should be able to execute a search using that index. Next, in the body of the POST should be a simple JSON object. Again, you don’t normally have to create this by hand — your SDK of choice or the Web Console UI can do this for you. Finally, the result of this search request will be a large JSON response. Look within the "hits" sub-document for "fragments" to verify that the search worked. Here’s a snippet of my search for "breakfast". Again, the full result is on Github. "â€¦ to watch TV. <mark>Breakfast</mark> was served every morning along with a copy of the Times-Picayune. I took my <mark>breakfast</mark> downstairs in the patio, the coffee was very good. The continental <mark>breakfast</mark> is nothing toâ€¦"
This is a preview, expect some bugs! There are some bugs and some incomplete features. I’ve shown FTS roles here on purpose. This is because the other roles are not yet fully formed. Please try them out, let us know what you think, but remember they are not in their final form. FTS is closest to ready. I’ve seen some issues when logging in as a non-admin user causes the web console to behave badly. Because of this, I showed the REST example above instead of relying on the UI. Finally, there might be other bugs that we don’t know about yet. Please let us know! You can file an issue in our JIRA system at issues.couchbase.com or submit a question on the Couchbase Forums. Or, contact me with a description of the issue. I would be happy to help you or submit the bug for you (my Couchbase handlers send me a cake pop when I submit a good bug). If you have questions, the best way to contact me is either Twitter @mgroves or email me [email protected]. SQL Profiler Query Cleaner, a quick and dirty tool born of frustration has its first official pull request! So, I guess at least one person is using the darn thing besides me. It is one of the greatest things to get a useful pull request out of the blue, and thank you to Ruffin. Why don't more developers join ACM? Pixeling sensitive information may not always be effective. A recreation of Microsoft's website from 1994. You're doing everything wrong (NSFW language). But are you really? Or are you just doing it different? Some free icons from GitHub. An infographic about new syntax in C# 6.0. Did I do this one already? Well I'll list it again, because I like it so much. A dress that contains all the most commons passwords on it.